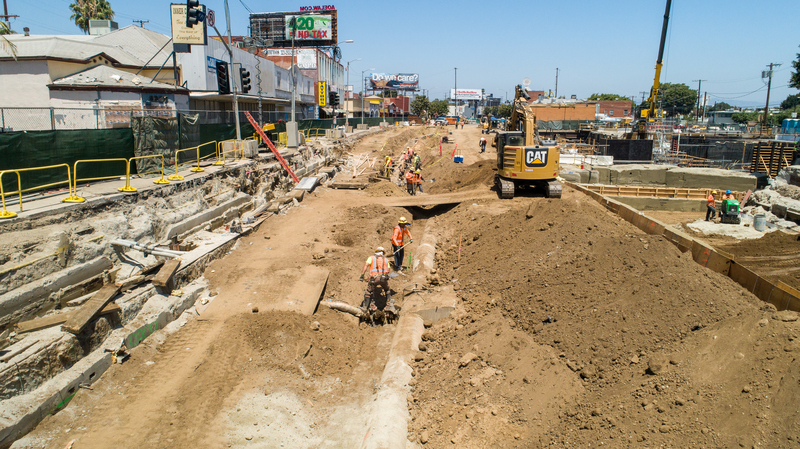 Metro began restoration work this month on the section of Crenshaw Boulevard where the Crenshaw/LAX Line is running underground — between the Expo Line and Vernon Avenue. 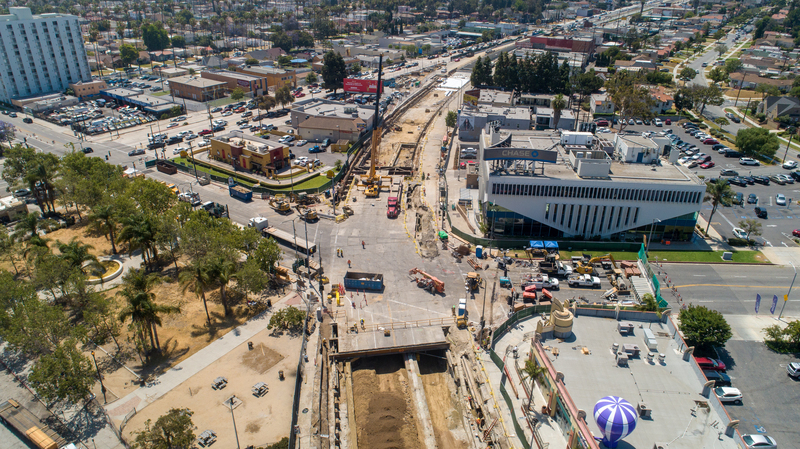 Metro’s Joe Lemon shot the drone footage on Wednesday. 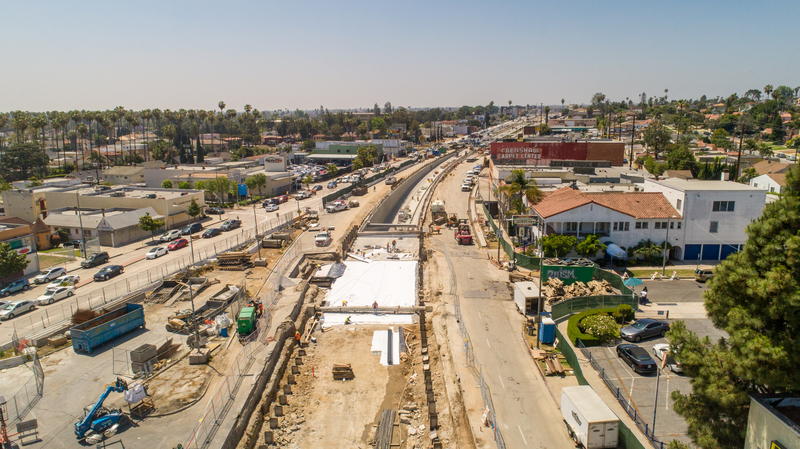 The restoration process involves securing utility lines, removing the concrete decking that sits over each of the three stations and then repaving the road. 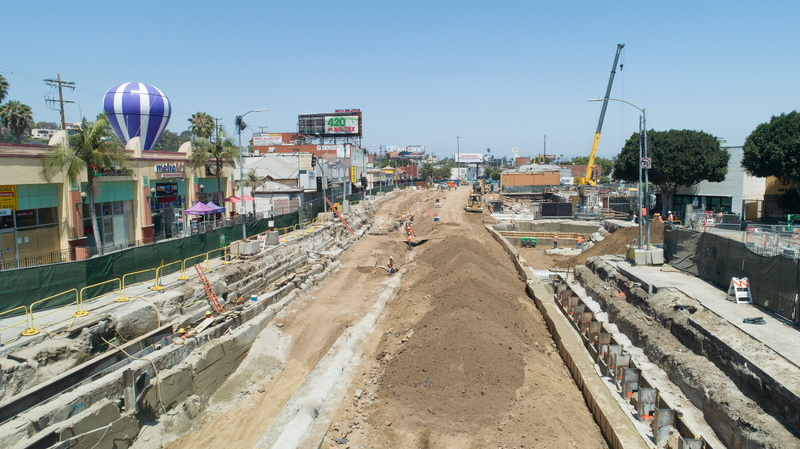 Can anyone tell me why the Crenshaw and Expo line have no planned track connection(s)? 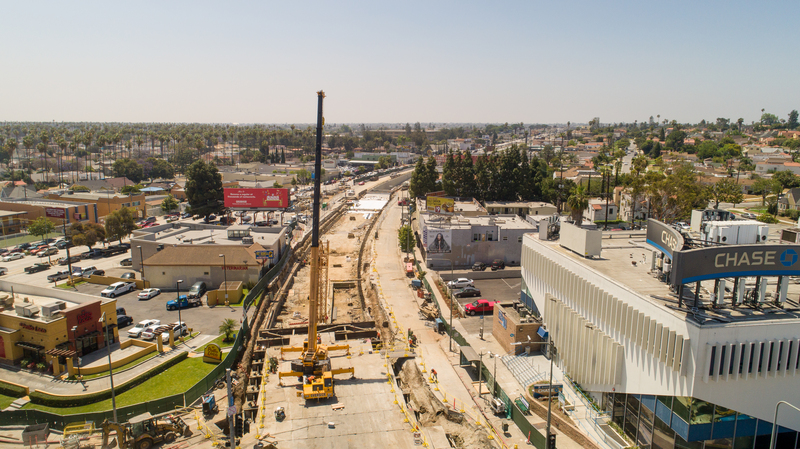 I try to go to the planning meetings for projects but I missed most of them for the Crenshaw line. Was it even considered? 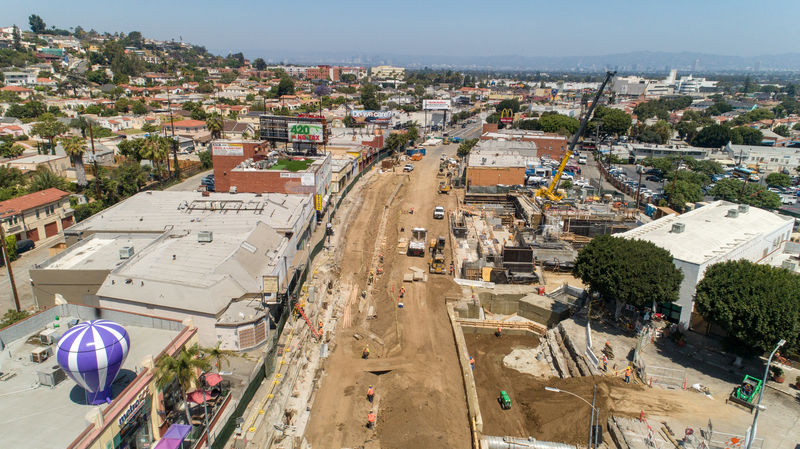 There definitely would have been added cost for the station they’re building now but since they are essentially rebuilding an entire city block anyway how much more could this have cost? 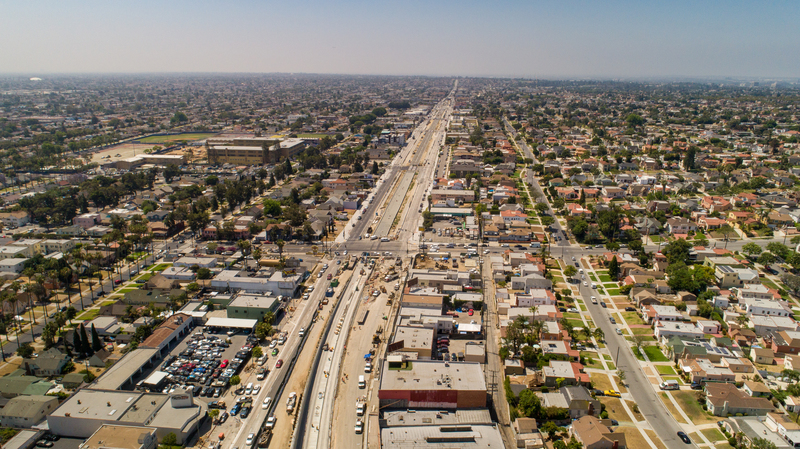 The benefits of a one-ride trip to downtown or SM from the airport seem a no-brainer. Am I missing something? There were a couple main issues with connecting the tracks. 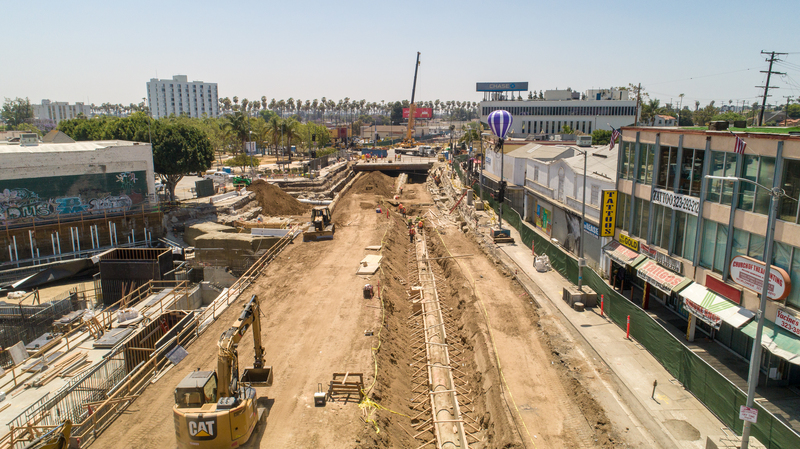 The first was that the decision was made to run the Crenshaw/LAX Line underground on the main part of the route whereas Expo is at surface. 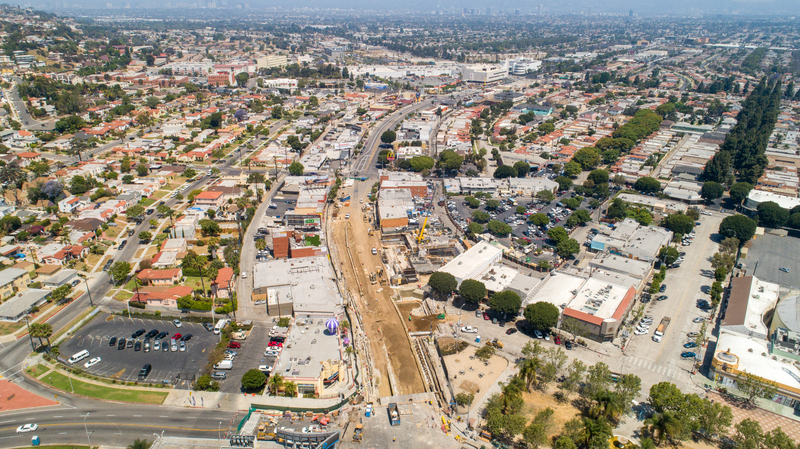 That was due to the width of Crenshaw Boulevard and expected developments on that part of the route. 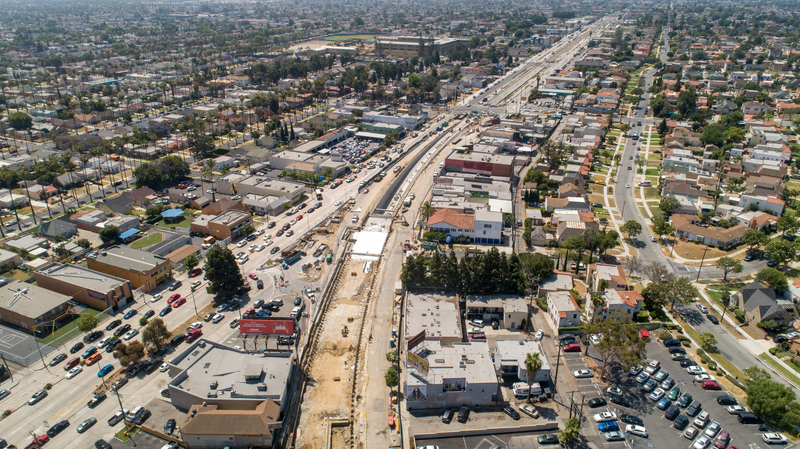 It was also because it was assumed the Crenshaw/LAX Line would be extended north one day (and Measure M supplies the funds for that project). So that made such a connection more expensive and likely requiring more land, especially if the connection was to both the east and west-bound Expo tracks. 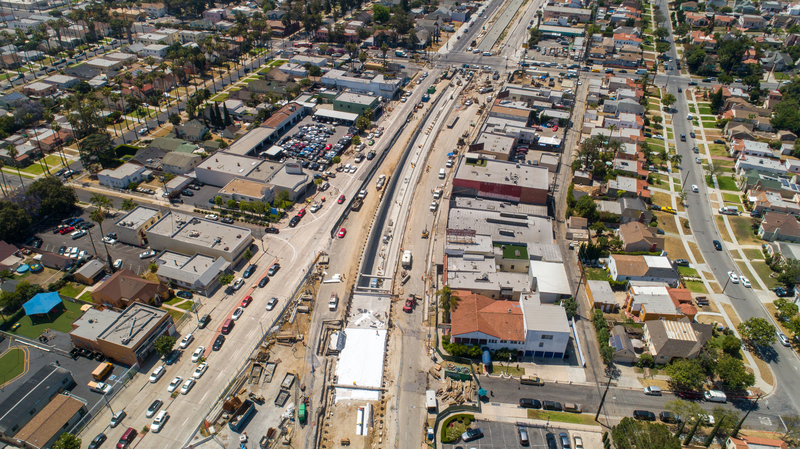 Another issue was that the Expo and Blue Lines merge at Washington/Flower and it was assumed there really wasn’t time to squeeze trains from a third line (Crenshaw) through the junction and onto that shared section of track. Hope that helps — good question and interesting subject! Thanks for the reply and I enjoy the blog – it’s a great “source” of information. 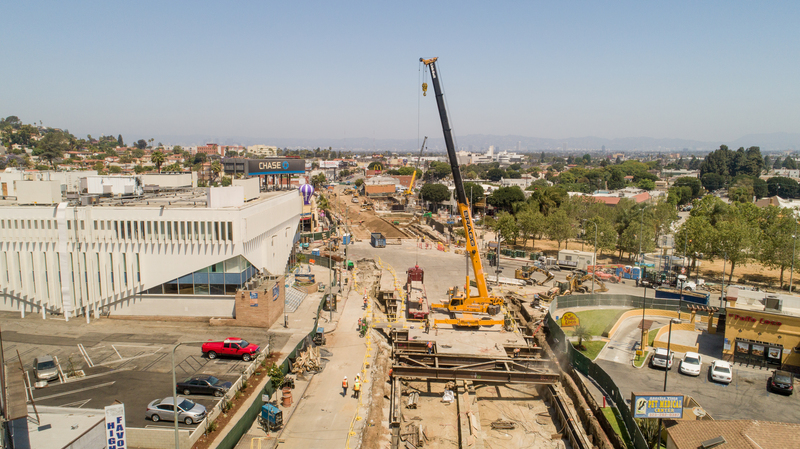 I agree that a track connection westbound would require some creativity/additional cost but I have to say that the connection eastbound would have fit easily in the existing Expo right-of-way and the ramp connections would have run through existing MTA property. Oh well, next time! Hate to bug you, but since you mentioned the Washington/Flower intersection . . . is there any plan on the drawing board for that? I haven’t come across any rumors or news regarding possible fixes. 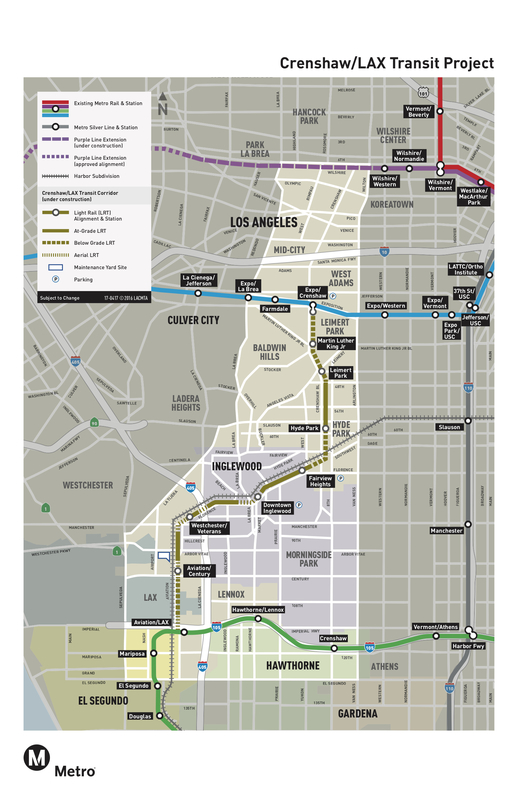 I run into quite a few people that have taken the Expo line but don’t anymore solely because of that bottleneck. 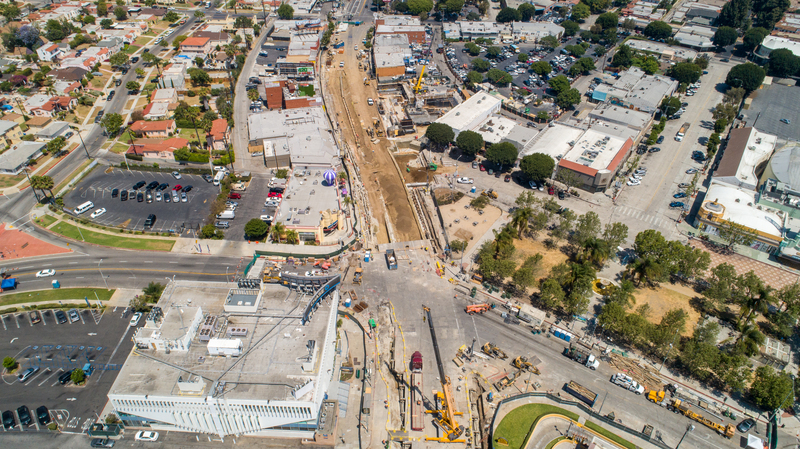 The Regional Connector should improve things a little bit but I think that fixing that intersection should be a priority over new starts under Measure M – especially with all the Olympic venues nearby. 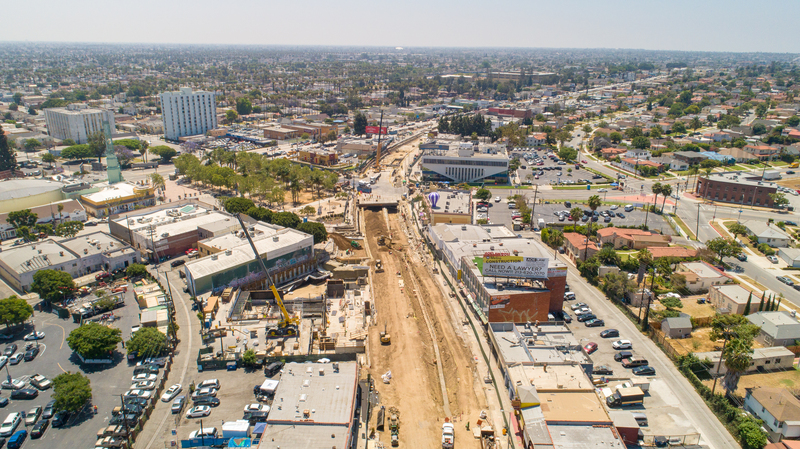 An improvement to Washington/Flower was also included in the Twenty Eight by ’28 Initiative approved by the Metro Board earlier this year — the plan seeks to complete 28 major projects by the 2028 Olympics and Paralympics. Again, it’s not funded but at least it’s definitely on everyone’s radar. 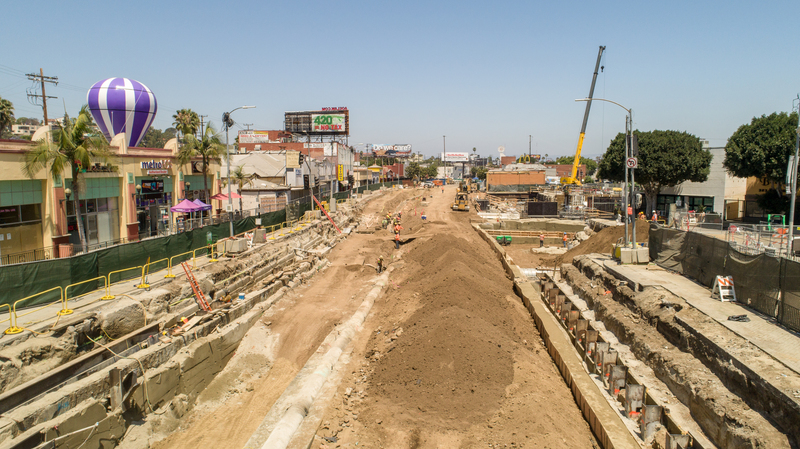 I agree that the Connector will help somewhat as we won’t have to turn around trains at 7th/Metro. But we’re still trying to put trains through a busy intersection at Washington/Flower every three minutes during peak hours. And there are many rail-road crossings between Washington and the beginning of the rail tunnel. So we’ll see. I think the desire to do something is there but in TranspoLand desire doesn’t mean much without some Benjamins accompanying it!